Baptism does not save us from our sins. It is a step of obedience to God, because we have been saved. Scriptural Baptism is a picture that God has designed to show the following things: (1) It pictures the Work of God the Son in His Death, Burial, and Resurrection – I Corinthians 15:3-4; (2) It pictures the Work done in the believer’s heart through the Holy Spirit when he accepts Christ as his Saviour – Romans 6:3 & Galatians 2:20; and (3) Although it is ONLY a picture, it is a truly PRECIOUS picture – I Peter 3:21 & Romans 6:4-5. When Must I be baptized? Baptism is the picture of what happened when you accepted Christ as your personal Saviour; therefore, baptism must follow salvation – Matthew 28:19. The word ‘teach’ means to “make disciples” or literally to bring people to the saving knowledge of Jesus Christ. 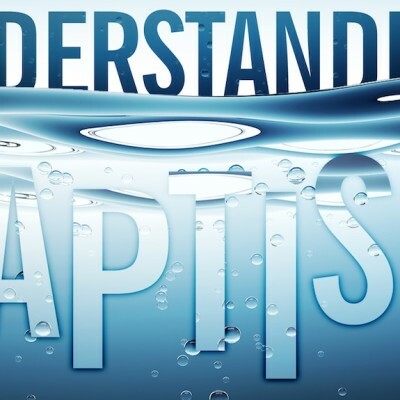 We always find this order in the Bible: Repentance then Baptism—Acts 2:38, 41; I Peter 3:21. Baptism is the first step of obedience to God. Therefore, you should begin your walk of obedience to Christ very soon after you have accepted Him as your Saviour – Acts 2:38, 41. Baptism does not take away our sins, but shows a picture of how our sins were taken away – I Peter 3:21. How must I be baptized? Baptism must be by immersion. Baptism pictures the death, burial and resurrection of Christ; therefore, the only proper picture is through total immersion in water – Matthew 3:16. Baptism must be done through the proper authority. Baptism is not a ritual, but a picture of what has happened when we accepted Christ as our Saviour. We are placed into His body – Ephesians 5:30. The local Bible teaching, Bible practicing Baptist church is the earthly representative of Christ’s own body. Therefore, the only authority to baptize rests with that local church. A church that does not preach, teach and practice the Word of God is not a proper authority. A church that teaches that you can lose your salvation is not a Scriptural church – Matthew 28:20. Baptism is a picture, but the picture must NEVER become more important than the original. Baptism is not our salvation; therefore, it must never be thought to be a substitute for salvation. Christ is our salvation and in Him only are we to put our faith and trust – Acts 4:12.